This is a little necklace that I made and never listed in my shop. 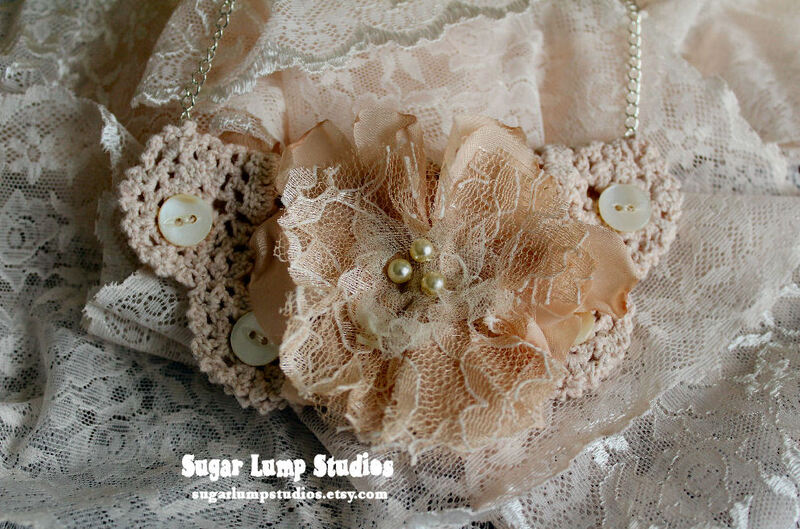 It is a bib style necklace. 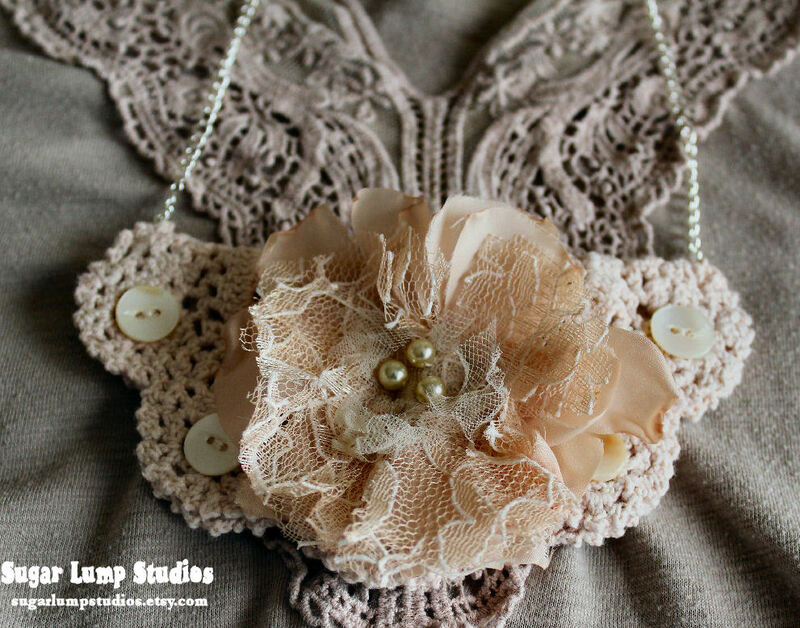 The crocheted doily is the focal point, and then I added a handmade fabric flower that I created. Inside each flower are vintage rosary beads.